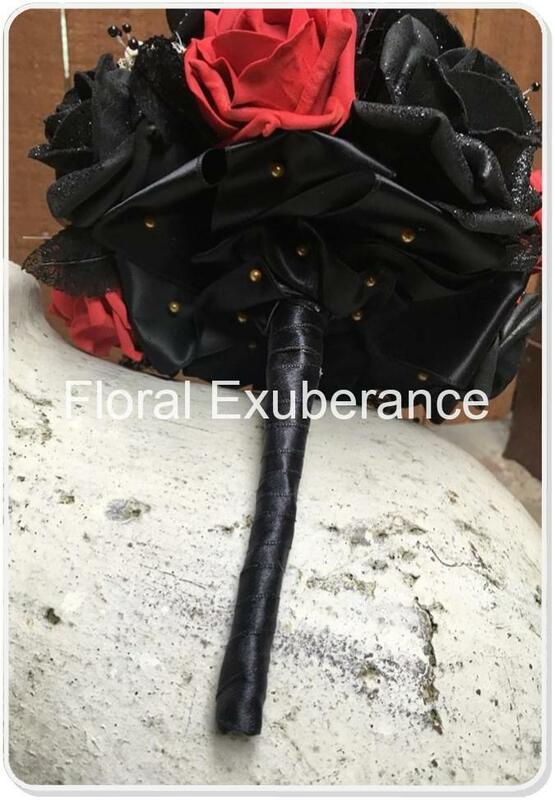 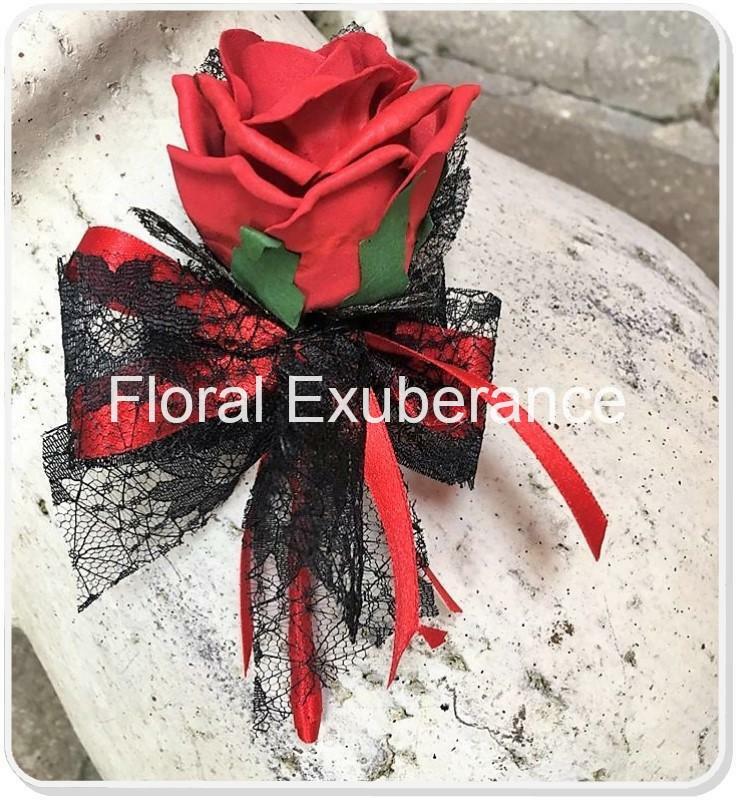 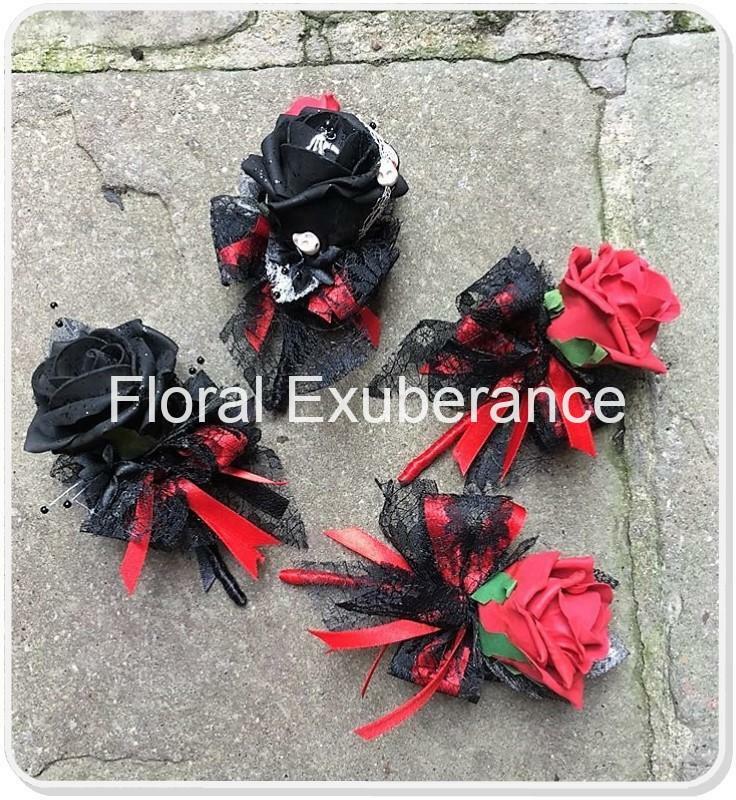 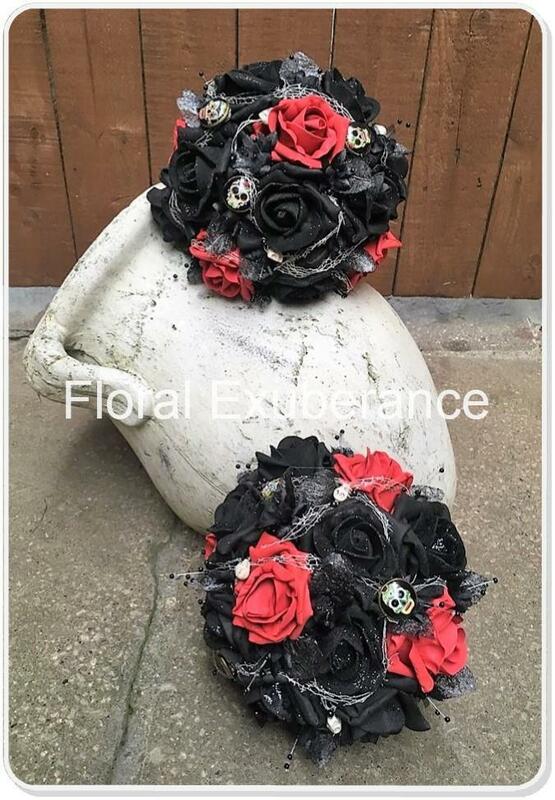 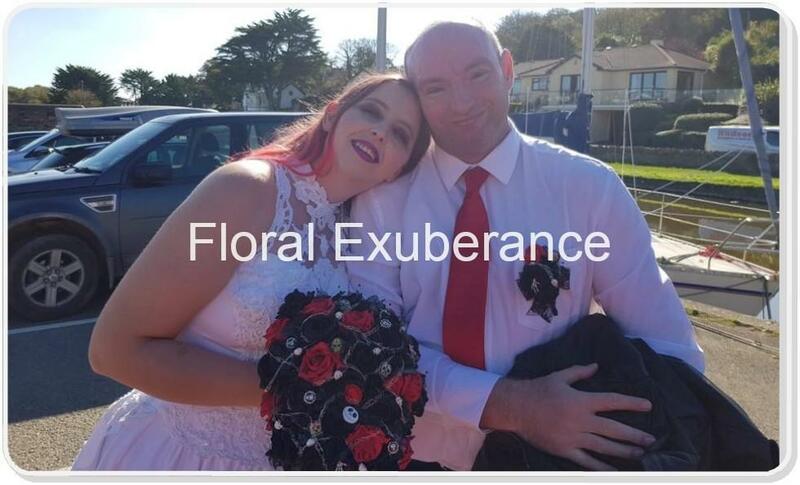 When i was asked by katy’s sister to do a gothic inspired bridal bouquet i was delighted… They had to made in artificial flowers as they were travelling to Devon. 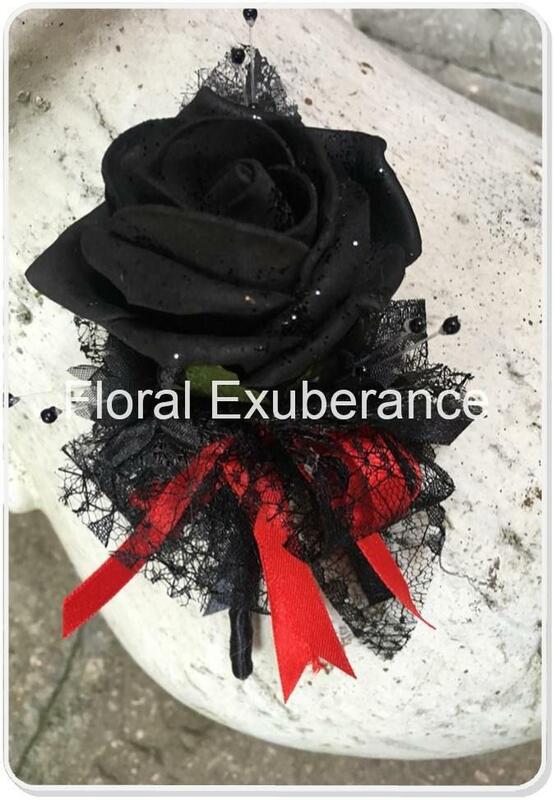 Kat’ys sister said she would leave it me but she loves halloween and must be in red and black. 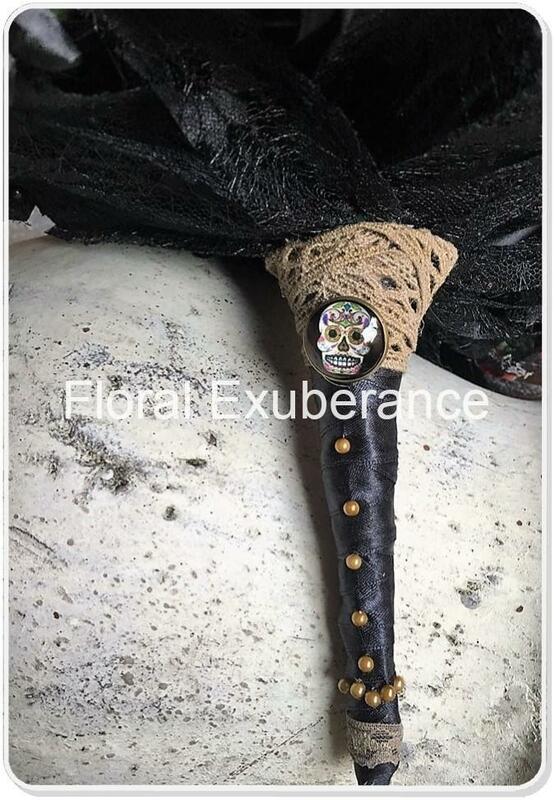 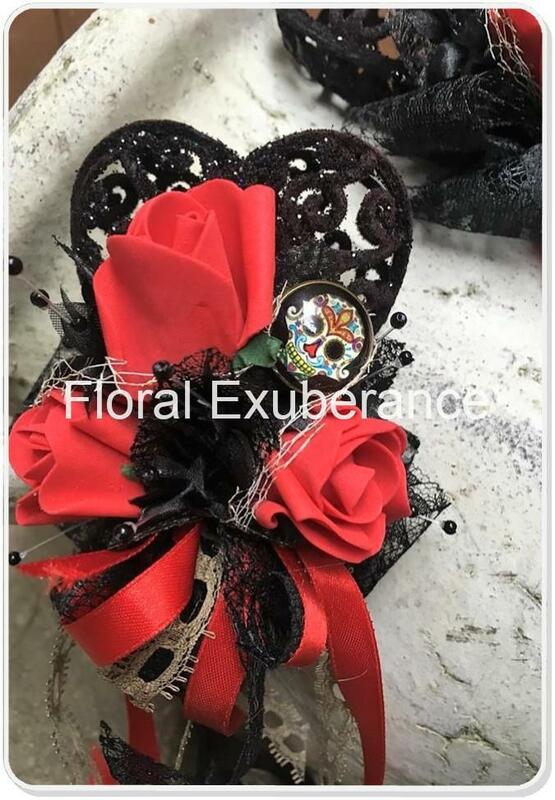 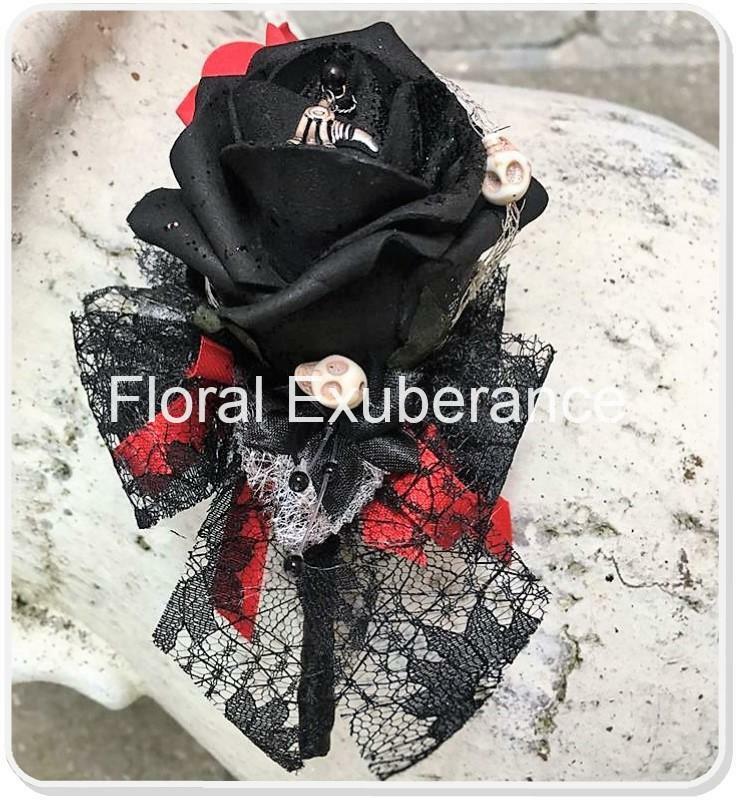 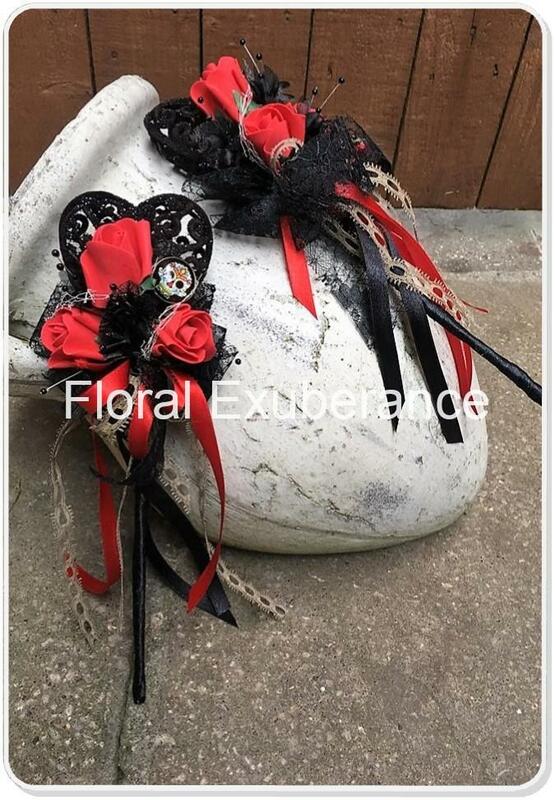 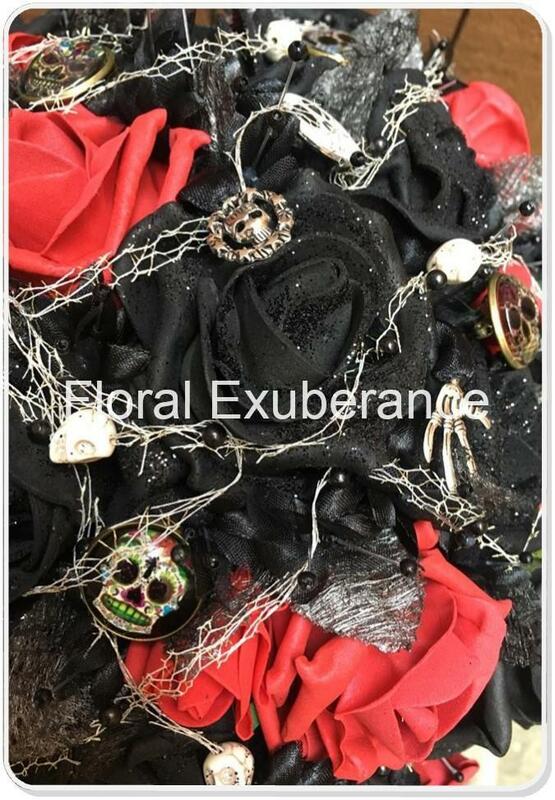 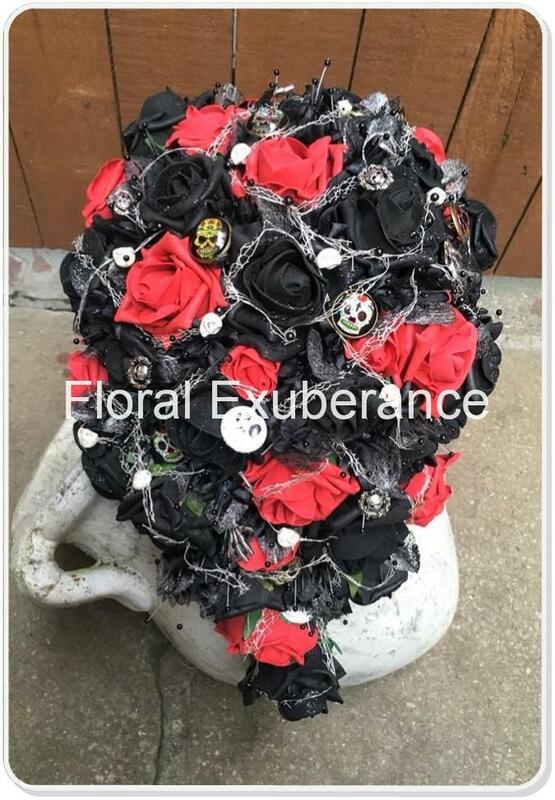 So we used Jack Skelington charms, boney hands, skulls, sugar skulls, skull charms plus a spider web effect on the bouquet, and ofocurse everything else had to match. 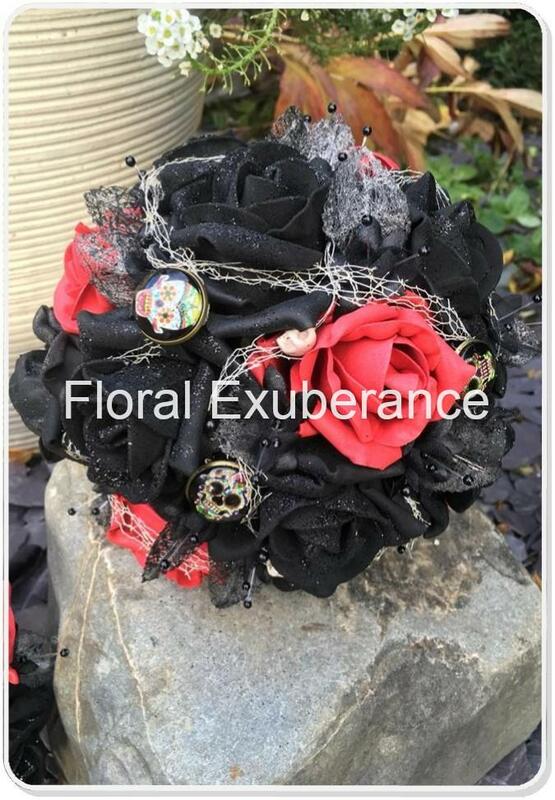 Below is Katy’s comment: you can ind this on my fb page under her pcture of her bouquet. 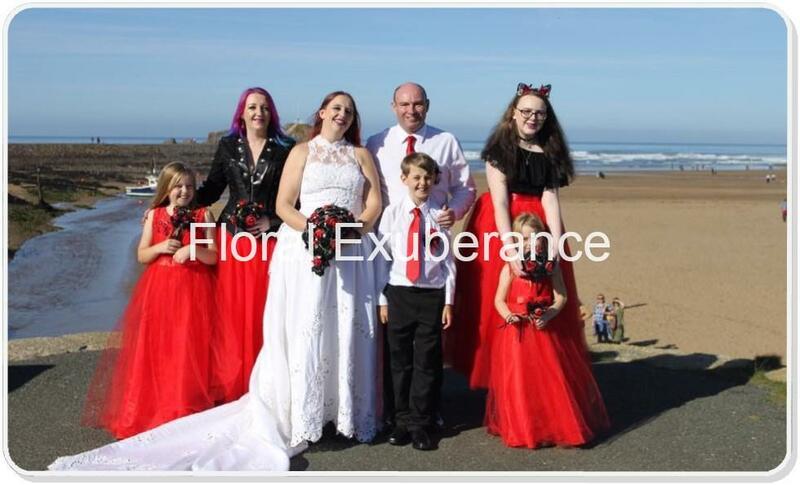 Previous Previous post: Susan and Matt’s Autumnal Wedding.